It’s March 14th and it’s about lunch time and I get a call from an old friend. The friend and I love to talk hockey (youth, high school, juniors, college and pro). We chat it up for a few minutes and then he tells me he’s the keynote speaker at the Minnesota Hockey PeeWee A and AA banquet in Stillwater. To which we kibitz about the event and some key themes of the weekend at the St. Croix Rec Center. At which point, it hits him that with his tight schedule and my “local” knowledge that I could help him with his talk. His definition of help magically turned into me giving the keynote for the PeeWee A and AA banquet that started at 4:00. After being approved by officials from District 2, I was off to my house to get a clean shirt and tie (and a killer speech) two hours later. Well, at least the shirt was clean. Today would have been my dad’s 90th birthday. He died in October of 2016. I followed a bunch of his rules in that two hour preparation. Don’t talk too long - people don’t care. Be yourself - people hate fakes. Wear a clean shirt - if nothing else they won’t think you are a slob. Inspire with something you’ve learned from someone else. I arrive at the Grand Banquet Hall in Stillwater and find out that I have 30 minutes to talk. I’m thinking “Ten Minutes takes 30 minutes, these people are gonna get 90 tonight baby!" Then, I remembered Rule 1. They also told me that I was in charge of introducing the teams seven of which I just predicted to lose the day before...gulp. It’s 4:50 and this really sweet woman named Stephanie introduces me as Tony Zosel (see Rule 2) and I was off to the races. Here is a high level idea of my speech and an addendum that I wish I would have included, but did not think of it until my car ride home. I played every sport I could as a kid. Football, hockey, baseball, tennis, golf and soccer. Had they had a rec basketball team I would have done that, too. After college, I jumped into coaching. At which point for 15 years I coached football, hockey and baseball as a non-parent volunteer. Coaching in Minneapolis and Bloomington allowed me to coach hundreds of great young men. Why was it important to play a lot of sports? Besides the obvious long term athletic development reasons, playing multiple sports gives players opportunities to lead and follow and most important learn a new and different roles on a team. In life, you aren’t going to start off as the President of the company. Sports teaches you how to lead and it teaches you how to fall in line. It’s important to be a good teammate. Every team I coach, I preach to be a “glue” guy. A player who picks up the pucks, the guy who dives and hustles on every shift or the kid who smiles when someone else scores or makes the big save. Glue guys are the ones you play harder for, the ones who make the team a team, not a collection of all-stars. I've never met a glue guy who you didn't love to see later in life. At the banquet, instead introducing the stars of each team. We announced a glue guy from each team. There we met Jack Blissenbach from Woodbury, Ryan McPartland from Chaska Chan and the Setnicker twins from Orono. Wiz Wyatt was smart, athletic and very giving of his time and talents after his athletic career ended. Today, he gets to meet future athletic stars. Last Spring, he reunited with two former Wiz Wyatt winners Brock Faber and Kyle Kukkonen. Over the years I had several great coaches and teammates. Many of which had an impact on my life. Wiz Wyatt was my youth coach. He was a multi-sport super star who after playing college hockey at Harvard coached my youth teams. A proper role model for an adolescent with several different paths to choose from. 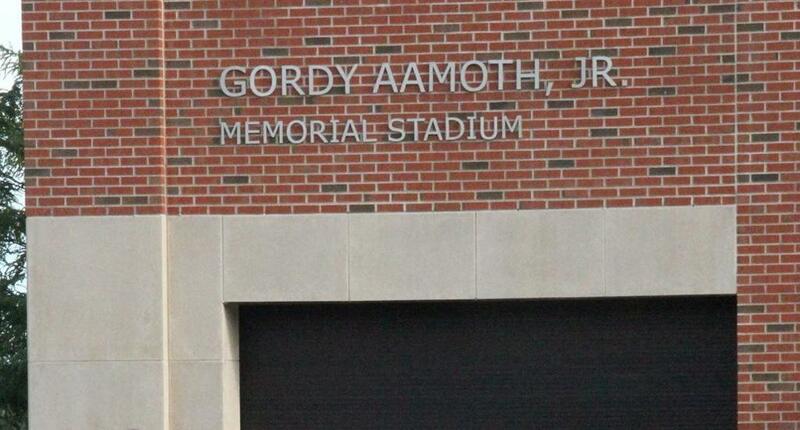 Gordy Aamoth was teammate in hockey and football. Gordy and I shared a love of sports, you name the sport we played it or talk it - that was our bond. Gordy died on September 11th and it hits me every year that he never had a chance to watch, coach or enjoy sports like I do. That day is a deafening reminder that life is fragile and every friendship is special and not forever. 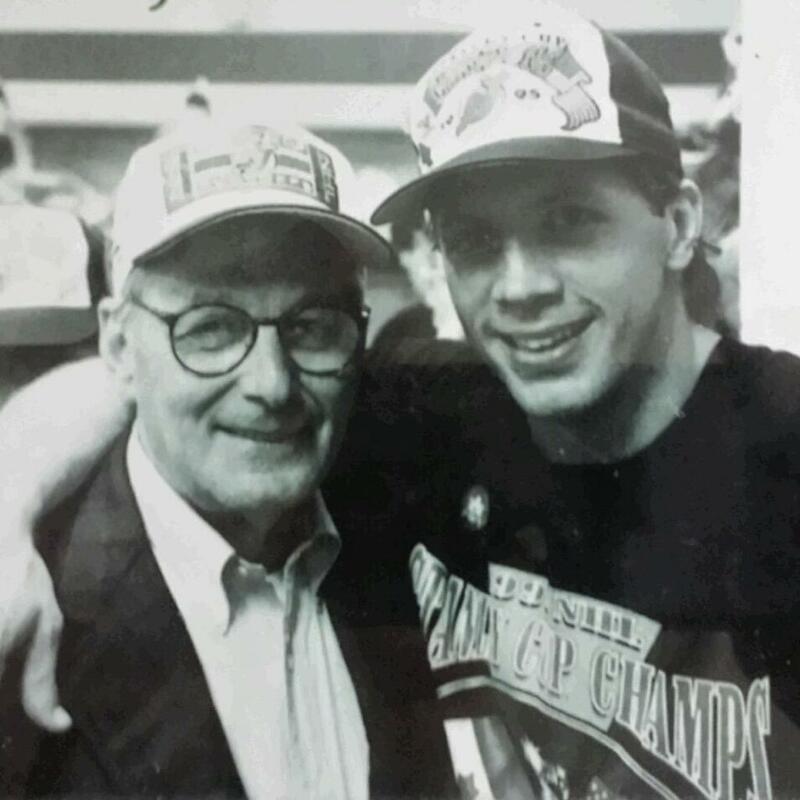 Tom Chorske was Mr. Hockey, an NHL star and a Stanley Cup champion. But his athletic feats are fleeting to me. I will always remember Tom as the most loyal friend I know. 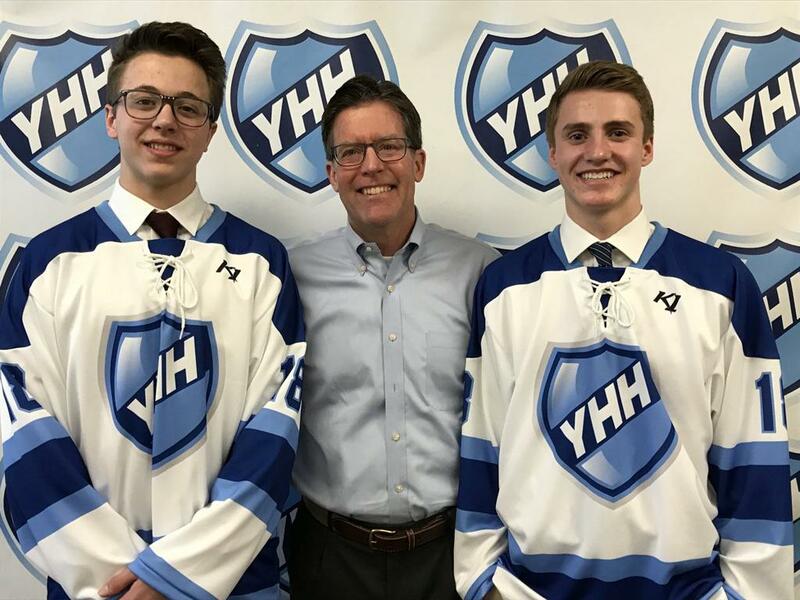 He has had my back since I was five years old on the outside rink at Lake of the Isles and even to this day - Tom would drop anything to help me out. I think this is one part of how he was raised by his parents Bob and Mary Chorske and another part growing up playing sports together. Ray Christy was one of my favorite teammates growing up on the west side of Minneapolis. As a kid, he always had a smile on his face at the rink. He was ultra talented and always one of our best players. In 50 plus years on earth, I’ve never heard a negative word said about Raymond. Ray’s wife Irene died in 2010 after a six year battle with breast cancer. Since Irene’s passing he has very humbly raised three amazing kids and has always been a face I love to see at the rink the past 10 years. Bob Scott was the smartest young man I ever knew. His parents Tom and Pat were amazing leaders in our community. Bob was naturally smart, but he was the hardest working guy I knew. His motivation and work ethic was contagious both on the ball field but in the class room and life as well. Every team and community needs a Bob Scott. As I meandered through these handful of neighborhood buddies and influences - I concluded my speech with two final points. These were all kids from my neighborhood, not a bunch of all-stars. The other point was only one team will win the state championship this weekend. Seven will go home without the prize. Even the team with the prize won’t have much because the trophies and medal are simply a piece of wood or plastic. What matters most is the relationship. Ten years from now nearly all of the room will be done playing and all that will be left are the relationships. So be a good teammate. Work on being a glue guy and in 10 years, 20 years, or 30 years you will some day have guys like Wiz, Tom, Bob or Ray to greet you at the barber shop, golf course or hockey rink. This is the part I wish I could have concluded the talk with, but it didn’t hit me until later. 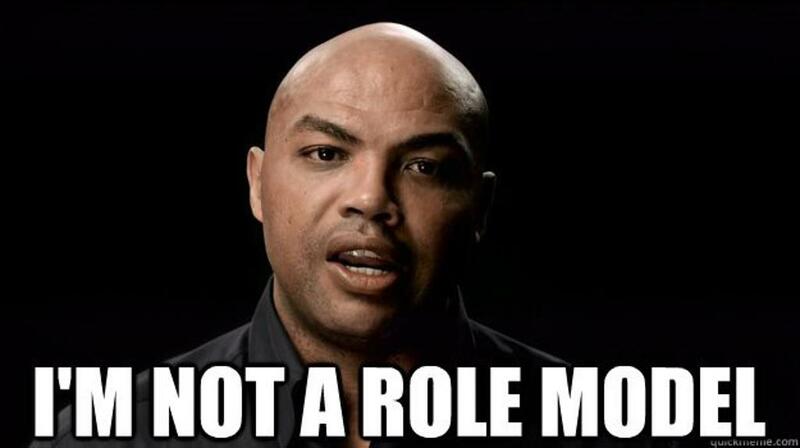 Charles Barkley said he wasn’t a role model. He is right. Being a professional athlete and and an outspoken broadcaster is for the one percent of the one percent. For the other 99.9%, your parents are the best role models you could ever ask for. In this room, almost every one of you have two parents very involved in your life. Consider yourself very blessed. I had two very involved parents. They woke me up for school and made me a lunch every day for 13 years. They attended every sporting event I every played in. My dad even tried to watch me golf once, a fish out of water experience for him I'm sure. They helped out with school. My dad pushed me hard with my SAT - he said I had “potential”. My mom’s favorite sport was hockey - having four hockey playing sons she would give clinics in the bleachers about icing, offsides and power plays. I’m very thankful for their love, support and paying for college tuition and books. But what I’m most thankful to my parents for is for what they didn’t do. They didn’t talk to my coaches, my teachers or the referees. They let me fail, they let me succeed. My advice to parents is to do the same for your kids. Some day, who knows they will thank you for that. If you have gotten this far, figured I throw in a shout out to another great role model parent, Darrell Grewe. Mr. Grewe was the ultimate sports parent. His patented crew cut and mint green station wagon were main-stays on the west side of Minneapolis. He managed the teams when no one else would. He tied hundreds and hundreds of pairs of skates. If there was a pizza party, Mr. Grewe would be there keeping the boys in line. He'd drive 20 minutes out of his way to give a guy a ride to or from practice. He was really into his kids, but more important he was genuinely into every kid on the team. He was always the happiest person in the room or rink. Nothing could dull his shine. The world needs hundreds more like him in every neighborhood. Safe to say some day, YHH will name an award after him. Darrell Grewe Parent of the Year. Winners will be wildly happy, a giver of their time and an overall swell man or woman.